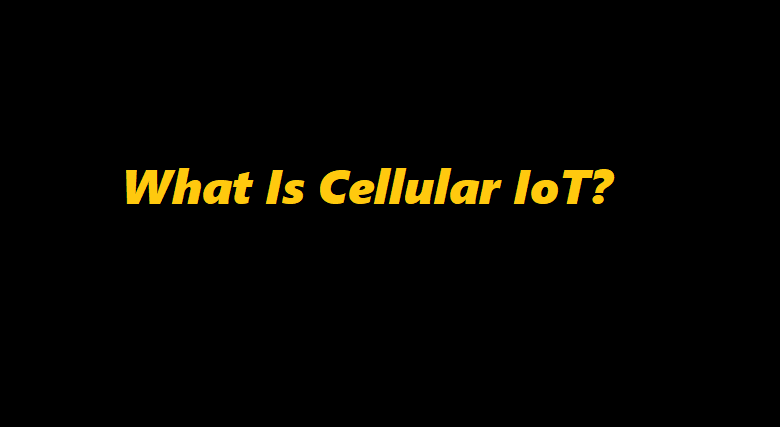 Cellular IoT is a way of connecting physical things (like sensors) to the internet by having them piggyback on the same mobile networks as smartphones. Its infrastructural simplicity combined with the dawn of 5G positions cellular IoT as a strong player in the connectivity space. Cellular networks connect your smartphone to Gmail, Google search, facebook, Google Maps, Instagram, and other apps installed in your smartphone; they carry your voice through the air. But gone are the times when we want to connect only with our friends and family. Now, we’re also seeing the value of connecting with the physical objects around us: the Traffic signals, streetlights, parking meters, Street CCtv camreas and hospitals that occupy our everyday urban lives, or the myriad industrial applications like manufacturing and agriculture that connectivity can enhance. Total estimated 20+ billion IoT devices connected by 2023, Ericsson expects 3.5+ billion to be cellular—specifically, over LTE and 5G and by numbers mainly in China and Greater North East Asia. In the way we can say that cellular iot way of connecting physical things (like sensors) to the internet using basically the same stuff behind your smartphone. Instead of needing to create a new, private network to house your IoT devices, they can piggyback on the same mobile network as smartphones. it provides an alternative to low power, wide area networks (LPWAN) like the non-cellular “LoRaWAN” and “Sigfox” and some similar other technologies, which operate in unlicensed bands. However, with the rise of cloud connectivity, IoT users are able to off-load software development kits (SDKs) and encryption, reducing the power consumption and improving the security of cellular IoT. LTE-M, which stands for “Long Term Evolution for Machines,” is a network standard that allows IoT devices to piggyback on existing cell networks. With essentially just a software update, LTE-M-enabled devices can communicate with the cloud, surfing the same waves as the cat photos you’re liking on Instagram. In general, LTE-M devices are best suited to “mission-critical” applications in which real-time data transfer makes the difference—for example, self-driving cars or emergency devices in smart cities. NB-IoT, which stands for “Narrowband-IoT,” is great for areas without good LTE coverage, or when you only need to transfer small amounts of information—for example, when using a soil sensor for smart agriculture or an energy usage monitor in a smart city. NB-IoT uses only a narrow band of the total bandwidth cell towers project. On the industrial IoT end, ultra-secure, private 5G networks will be capable of facilitating thousands or even millions of devices in a manufacturing or logistics setting, operating at 10x the speed of existent networks. Smart agriculture – remotely start farm equipment to improve production efficiency and convenience. Smart city – counters allow public parks to count their attendance each day without paying staff to manually monitor the crowds. Public safety – IoT-connected asset trackers monitor school buses in real time to ensure they are on schedule and to keep students safe at all times.